Aspen Mountain. Ajax. The Crown Jewel. All three of these names are used by locals when referring to the ski mountain that ascends from the heard of our small town. It’s hard to miss, and it truly is the Crown Jewel of our community. 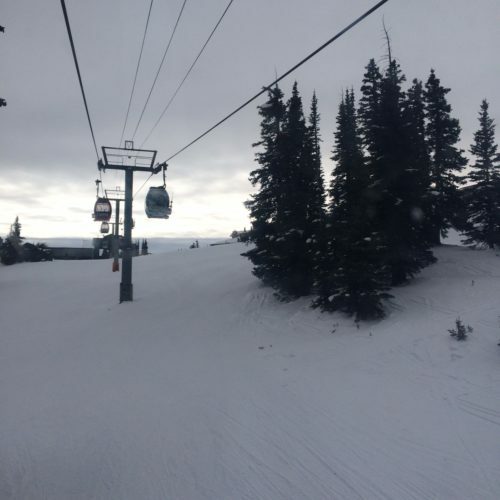 If you’re new to town, or finally ready to tackle Ajax after some lessons on Buttermilk or Snowmass, here are my tips to get the most out of your day. Call ahead, then set your alarm clock. 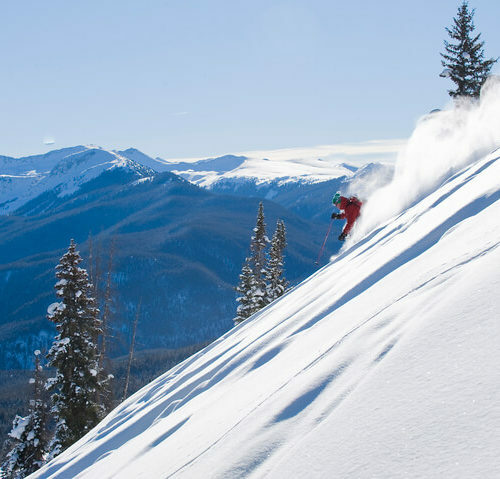 Guests of The Little Nell and Limelight Hotels can sign up for “First Tracks” through the Little Nell’s ski concierge. This means that you’ll have access to the mountain 45 minutes before the general public. This free service is a great way to get to see some of the top to bottom groomers that Aspen Mountain is known for. Be ready for steep slopes. 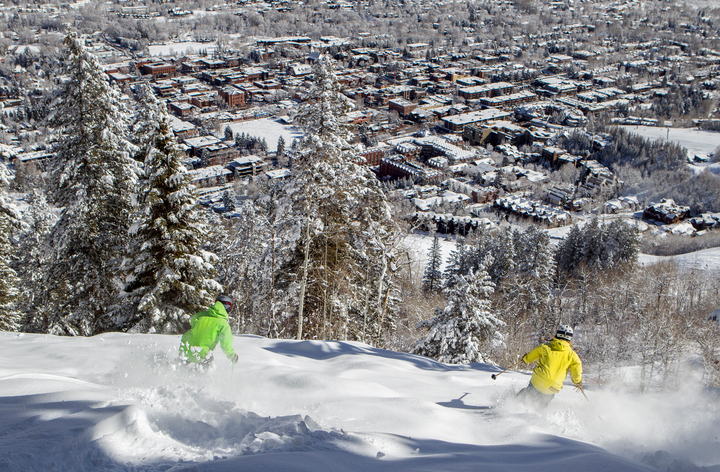 Despite its user-friendly, central location, Aspen is not a beginner’s mountain. In fact, if you take a look at the trail map, you’ll notice that there aren’t ANY green (easy) runs. Don’t be scared though, solid intermediate skiers won’t have any trouble getting down Ajax. Eat up! Skiing is a social sport, and that means eating and drinking well. I like to start my day with pancakes at Bonnie’s, located just above the Ajax Express lift on the skier’s left side of Aspen Mountain. Any local or Ajax veteran can point you in the right direction. For lunch, it’s up to the Sundeck. If you have friends or family who aren’t skiers, they can buy “footpasses” so that they can join you for lunch, selfies, and to take in the views. 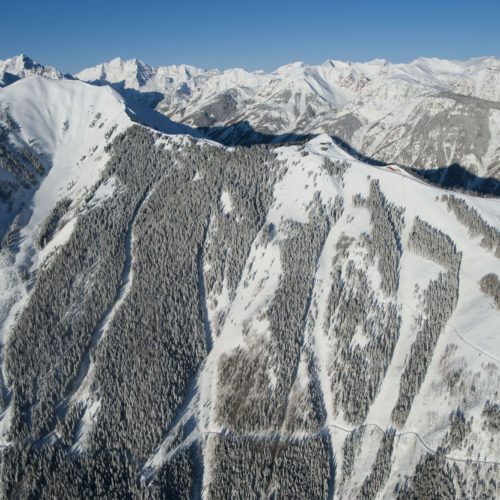 If you’re one of those solid intermediate skiers, you will love Aspen Mountain’s groomed terrain. Start with a top to bottom from Copper to Copper Bowl, around Kleenex Corner and down to the Gondola. 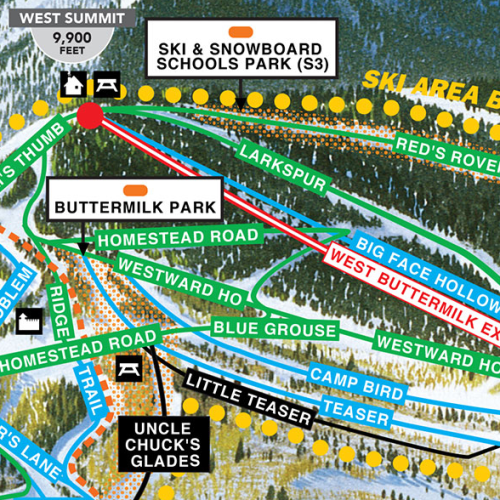 Then make your way over to Silver Bell or Silver Dip followed by Deer Park and the Ajax Express Lift. Once you’re really ready to get moving, it’s time to test your legs on Ruthie’s. If that name sounds familiar, it’s because it’s the top part of the World Cup ski runs on Ajax. You can head to the 3-seater Ruthie’s lift, or cruise all the way to Lift 1A, a classic double chair. Lift 1A will definitely look familiar if you’ve watched the World Cup from Aspen on TV. 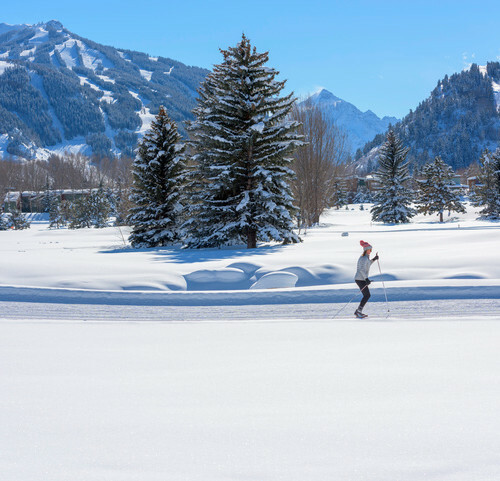 If all of this sounds fun but not quite daunting enough, Aspen Mountain has plenty for you. The double black diamond terrain on this mountain is steep, easily accessible, and will keep you challenged. My favorite runs include Face to Randy on Bell Mountain, Perry’s in “the dumps,” and Walsh’s on the far skier’s right side of the mountain. At the end of the day, apres ski is almost as important as skiing. It’s part of our town’s culture. Live music in the Limelight’s Lounge, a Hot Toddy in hand, and a soak in the hot tub are the perfect way to wind down from a challenging day on Ajax. Just don’t forget to post some selfies first!